Spearhead asked me to write a post on angel investing when they first launched. Here’s a slightly updated version—most of the wisdom is from Naval. If you can’t decide, the answer is no. Proprietary dealfow means ‘they want you’. Investing takes years to learn, but improves for a lifetime. Valuation matters: you will have to pass on future greats. Judgment is important but overrated. Some of the best investors have no opinions. Incentives make for bad investing advice. If you can’t decide on an investment, the answer is no. For all practical purposes, there are an infinite number of investments out there, so pass. That doesn’t mean you won’t regret it. But the next investment is just as good a priori. Your experience and judgement is only going to get better by the time you see the next deal. Nobody thinks they have a shortage of dealflow. The hard problem is getting your money into the startups you want. The company has to want you over other investors. Without ‘they want you,’ you will get cut out of good investments and end up with adverse selection of weaker companies. It’s okay to pass on investments, but you don’t want them to pass on you. Missing out on a few investments can mean losing all your money because of the power law returns of investing: the top deal in a good portfolio returns as much as deals 2 through N combined. If you miss out on the top deal, you’re going to miss out on most of your returns. Get started with angel investing now. It takes years to learn and longer to see returns. You want to invest in 30 companies at a minimum–that takes time. Start with small investments because your later ones will get better as you gain expertise and brand. So your returns will take even longer. Investing takes a long time to learn, but it is one of the few professions you can improve until the day you die. You can’t build a portfolio of pre-traction companies at $8-10M pre-money and expect to make a venture return. On occasion, you can make an exception, but you can’t do all of your investments at this price. You will have to pass on great teams because the valuation is too high. You will have to pass on future iconic technology companies because the price is too high. But passing at a $40M pre-money lets you take 10 shots on goal with unknown companies at $4M pre-money. Despite high valuations, it’s still possible to make money in angel investing. If you can’t make money in tech, you can’t make money anywhere. Valuations for pre-traction companies between 2005-2010 were $1-5M pre-money for the first non-friends-and-family round. Funds that invested during this time period made 4x-100x returns. These valuations moved to $4-6M pre-money after 2010, with some demo days in the $8-10M range. This likely cut returns by 2/3 or more. 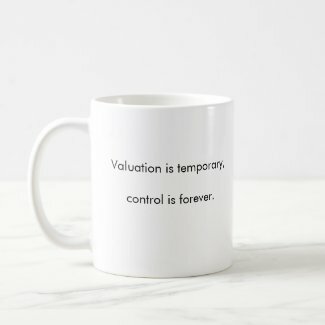 Play with valuations tool on AngelList. To quote Vinod Khosla, invest in “$0B companies” that could be worth $1B tomorrow. Focus your attention only on companies with the potential for a 100-1000x return. Otherwise, pass. Without these large exits, your portfolio will not achieve a venture return. Some markets are obviously bad and should be avoided. But judgment about markets is less important than you think, because there is so much luck and randomness involved. Companies can do hard pivots into new markets (Twitter, Slack and Instagram). Judgment is not about doing a lot of research, digging and homework. By the time you figure it out, you will have missed the deal. Instead, learn a few markets really well. Of course, you will learn about new markets over time. But learn a few markets really well. Buy all the products and try them. Find the best scientists in the market and invest in them. They can help you with research on your next investment; this is an unfair advantage. Read research papers then call the grad students who wrote them. Waiting to learn about new markets on TechCrunch is too slow. The best returns come from investing in technology companies. Avoid companies that don’t develop meaningful technology (either software or hardware). The 5 largest companies in the S&P 500 (Apple, Google, Microsoft, Amazon, and Facebook) are all technology companies. The largest private companies are also technology companies. There are exceptions like Dollar Shave Club. Their early investors had good returns. But, as a rule of thumb, you should only invest in technology. Some of the best investors on the planet have no strong opinions about a particular business. They try not to project into the future, so they can listen intently in the present. Almost any entrepreneur will be smarter than them in their market. The investor’s job is to listen and decide whether the founders are smart, honest, and hard-working. These investors don’t fall in love with a business. When it comes time to do a new round, they re-evaluate the business from scratch and ignore sunk costs. If you’re thinking about all the great things you could do if you were running the business, you’re going down the wrong path: you’re not running the business. If you are telling the entrepreneur what to do, don’t invest. Thinking like an investor is different than thinking like an entrepreneur who is determined to make a business work. Incentives influence the advice you get from VCs, lawyers, incubators, and everybody else. Everyone serves their own interests first. The best source for angel investing advice is other angels and founders. Build your instincts by looking at startups without investing. This will build your instincts, which is what you really use to make investment decisions. In the old days, you had to work at a VC firm to see dealflow. You had to make a few investments and lose money before getting good judgment. John Doerr called this “crashing a fighter jet.” First you lose $25M, then you have some judgment. Now you can get judgment without crashing the fighter jet. You can see dealflow from your friends, your incubator, demo days, and AngelList. You need a lot of data to build up your instincts. Track your fantasy portfolio and anti-portfolio. Write down what you like and dislike about each deal and see how your judgment develops over time. Contracts can be renegotiated. You will be pressured to renegotiate your investment by founders and VCs. If you’re alone, you won’t have the power to fight back. Contracts are written for worst-case scenarios, so people can’t outright steal your money. Suing people is bad for your dealflow. So real-world decisions are usually based on power. If you’re alone, you won’t have the power to fight back. The startup and their new investors can pressure you to renegotiate. So don’t be a herd animal when making an investment decision, but move with a pack when you do. Here are the latest videos from Venture Hacks TV (the best startup advice you can get while you’re folding the laundry). You can subscribe to VHTV via RSS, email, or Twitter. I’m going to keep my eyes on the videos coming out of TechCrunch Disrupt this week. The best talk on Monday was Charlie Rose’s interview of John Doerr. I’ve always thought of John Doerr as a salesmen for nerds. And Doerr always looks at the big picture — I remember him talking about how the browser was going to be important again, well before Firefox emerged. Watch how Gates manipulates Jobs hatred of IBM to get his way at 6:45. Every entrepreneur should see Pirates of Silicon Valley. This made-for-TV movie from 1999 is amazingly well-done. It’s a dramatization of Steve Jobs and Steve Wozniak starting Apple; Bill Gates and Paul Allen starting Microsoft; and how Jobs and Gates collided. The script and acting ring true. Wozniak writes that “the personalities were very accurately portrayed.” Steve Jobs actually invited Noah Wyle, the actor who portrays Jobs, to impersonate him at Macworld. And the negotiations are pretty realistic. Watch the clip above and rent the movie if you like it — it’s cheesy but good. Your deck getting in the wrong hands @ 33:05. If this is your first time raising angel money… @ 38:13. If you’re into startup analysis, check out the deal of the week, Stack Overflow, @ 1:00. Jason’s Q&A expertise shines through here. And here’s Mark’s recap of the episode. Subscribe to VHTV via RSS, email, or Twitter. Do so immediately and without hesitation. How else are you going to get startup advice while you do the dishes. … a founder, a VC, and his Associate negotiate a down round. Very NSFW. From What Makes an Entrepreneur (2/11) – Street Smarts. You can also find my favorite negotiation book, Bargaining for Advantage, in our bookstore. I am going to get some of my colleagues mad at me here. I see many stock options plans where, when employees leave the company, they have a short time window (usually 3 months) to exercise the options they have vested. This means they have to pay the strike price that the options were issued at and acquire the shares (strike price could be $3 for shares valued at $4 at the last round). That forces startup employees to fork out cash and often crystallizes tax liabilities. It feels harsh to me. I think options should be exercisable over long periods of time, so people who have contributed to the wealth creation process can exercise when the value is realized (i.e. the company is sold) and it becomes a cash-less exercise for them. Multiple liquidation preferences: This means investors get a multiple of their money back before you see anything. I don’t like these conceptually, they feel very un-venture to me, but they are only part of the deal. If you push super hard for a $100M valuation but have to accept multiple liquidation preferences as a trade-off, it’s your call. If the company goes public (at which point preferred shares convert into ordinary shares and the liquidation preferences disappear), you win. If the liquidation preferences are negotiated away in a subsequent round of financing, you win. Personally, I have a strong preference for simple terms at the right price from the outset. Cumulative dividends: Sometimes an 8% dividend is slapped on, and it accrues over time when it isn’t paid. Again, this is not appropriate for most venture deals, but it may be part of an acceptable trade-off. More than anything else, I find the real danger is complexity. When you need 3 full days of modeling to come to grips with a cap table, or when no-one can agree anymore on how clauses should be applied, you are in trouble. You will spend more time discussing internally how clauses should be applied than focusing on that critical acquisition you should be closing. I have seen cases where you needed robust macros to model outcomes. How about adding an exit-value-dependent management carve-out to a participating liquidation preference reverting linearly above 3X return on top of a French legal requirement that the first 10% gets distributed to all shareholders equally ? I have modeled this and it’s simply not worth it. Value is not created by arcane legal language but by nailing business execution and growth. Keep it simple and keep yourself focused on the right elements. I was at Seedcamp on the VC panel with Fred Wilson and a few others recently and there was a lot of talk about terms and how not to get screwed (evil evil VCs…). I will repeat the advice I gave then: you want to protect yourself adequately, get a good lawyer. You will not out-compete us on terms negotiation. I use Tina Baker at Brown Rudnick in the UK and Karen Noel / Olivier Edwards at Morgan Lewis in Paris; they are great, go talk to them. Having said that, it is completely your responsibility to understand what you are signing, and it is up to you to push back. Read the documents, ask questions about everything you do not understand. Ask your lawyer: where does this document create risk for me, both on my income stream and my ownership. How does this go wrong and how do I protect against it? This is advice you are seeking, not an outsourcing service. And remember, there is no such thing as standard terms. May the force be with you. The book I mentioned in the conversation is Bargaining for Advantage. It answers almost every negotiation question. I read the book cover-to-cover — that’s rare. Almost every problem you run into in a startup is not unique. Someone else has had the same problem and knows how to solve it. With the right advisors (books, blogs, people), you can solve it the easy way, instead of the hard way (experience and failure). Save the risk and innovation for the important stuff. P.S. If you’re sharing secrets with VCs, read these posts: Three things you should never tell a VC when fundraising and How to Deal with Skeletons in your Closet (and my comment). This is the first in an ongoing series called Books for Entrepreneurs. We’ll use these posts to recommend books that we’ve found useful as entrepreneurs (duh). Our first book is Bargaining for Advantage by G. Richard Shell. Richard is a professor at Wharton and this is my favorite negotiation book period. It synthesizes the principled negotiation of Getting to Yes with the psychology of persuasion in Influence. Jim Pitkow recommended this book while we were raising Songbird‘s Series A. Since then, I have referred to it again and again while writing posts for Venture Hacks and answering questions from entrepreneurs. Make sure you don’t read this book if these questions are irrelevant to you: Should I be the first to open? Should I open optimistically or reasonably? What sort of concession strategy works best? “A better way to understand leverage is to think about which side, at any given moment, has the most to lose from a failure to agree… the party with the most to lose has the least leverage; the party with the least to lose has the most leverage. “Leverage often flows to the party that exerts the greatest control over and appears most comfortable with the present situation. “To gain real leverage, you must eventually persuade the other party that he or she has something concrete to lose in the transaction if the deal falls through. “Normative leverage: [Normative leverage is the ability to apply general norms or your opponent’s standards and norms to advance your position.] You maximize your normative leverage when the standards, norms, and themes you assert are ones the other party views as legitimate and relevant to the resolution of your differences. Attack [your opponent’s] standard only as a last resort. Bargaining for Advantage includes detailed examples that make the theory of leverage concrete. Related: The Monk and the Riddle, Inside Intuit. Summary: A deal is only as good as its best alternative. Keep improving your alternatives until you have a signed term sheet. And keep developing your current offers or they will die. Finally, don’t say “shopping around”, it puts investors off their stroke. A deal is as good as its best alternative. Receiving a term sheet is a significant milestone. Receiving a verbal offer or an indication of interest is also a significant milestone. But you should keep engaging alternative investors until you sign a term sheet. Sometimes, you should keep engaging alternative investors until you close (assuming the term sheet you signed doesn’t have a no-shop). Improve your alternatives to get a better deal. Spending time developing alternatives is as good as spending time developing your current offer. It increases the chances of closing your current offer. It closes your current offer faster. And it improves the terms of your current offer. Keep this in mind if you “don’t have time” to develop alternatives. Develop your current offers or they will die. Keep developing your current and pending term sheets while you engage alternative investors. If you sit on a term sheet for 2+ weeks, there’s a good chance, say 33%-50%, that the offer will disappear because the investor will move on to a shiny new company and his enthusiasm for your company will wane. Not to mention that most term sheets expire after a couple weeks. Don’t let offers cool while while you warm up alternatives. Shopping around for Gucci underwear is effective as long as stores have it in stock. It’s not effective if each store runs out of inventory while you’re visiting its competitors. The best way to keep investors warm is to focus on fund-raising so you can (1) get all your offers at once and (2) pick the best one before any of them cool down. Buy a little time after your first offer. No investor is going to ask you to break your previous commitments. This little tactic buys you time and increases your social proof and scarcity. You only need a few offers to clear the market. How do you know if you’ve cleared the market? You need two or three offers from investors who make it a habit to invest in startups at your stage. These investors should create enough demand, social proof, and scarcity among themselves to improve your terms and clear the market. Finally, receiving more than two or three offers means you will have to disappoint more investors. Turning down investors is surprisingly hard. You’re not “shopping around”, you’re “looking for the right partner”. While you’re talking to investors, you can define the right partner in terms of domain experience, or someone who wants to invest more/less money, or someone who has a history of backing the founders, or anything but: the guy who will pay the most. How is raising money like buying a car? The best answer gets a coveted Venture Hacks mug.